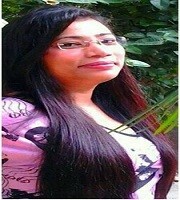 Sangeeta Gogoi’s poetic pursuit originated at the budding age of 13 when her creations marked their sundry ways to publication. Every inch a romantic, her poetry portrays a refreshing sense of rhythm and her unquenchable thirst for LOVE, BEAUTY and TRUTH. Born in Assam, her academic pursuits led her to diverse places and experiences that culminated into her incredible works of art, recognized internationally. She is deeply passionate about music, painting, culinary skills and sports. She worked as a Meditation and Yoga Instructor, Human Resources Executive, Labor Officer, Management Faculty and associated herself with several organizations and social causes. Her life reflects A Rage To Live (her debut book) and her Vision is to unite the universe with one oozing unconditional eternal Love!